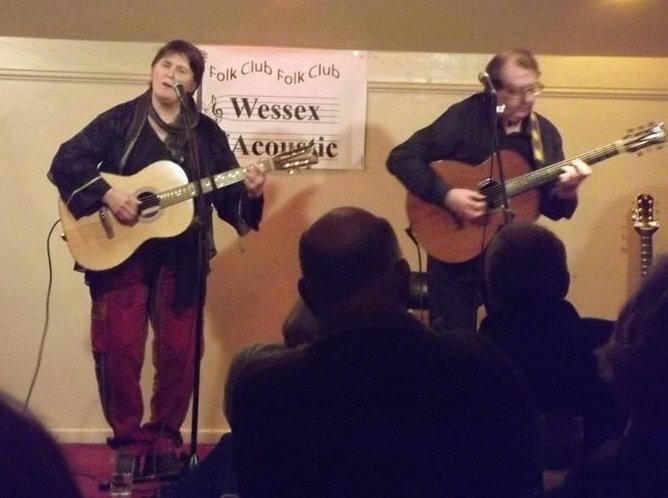 Well we had a super time in Dorset and our showcase appearance at Wessex Acoustic resulted in a bookings at the club and Swanage Folk Festival in 2015 in addition to some other, ‘windows of opportunity’, in the area. We were bowled over by both the response to our performance and the fantastic hospitality. En route back home we stopped in at the singer’s evening at Readifolk and were warmly received there too. We will be returning there in 2015 also. Didn’t get much sleep over the weekend but had lots of fun and It feels like we’ve made many new friends. On Friday 14th February we will be supporting Kathryn Roberts and Sean Lakeman at Chesterfield Folk Club. We will be doing a 30 min set to start the evening then we can sit back and enjoy Kathryn and Sean. Very much looking forward to that! On Saturday 15th February Steve and I travel down to Acoustic Routes Cambridge for a shared evening with a local group called ‘Fred’s House‘. The event at the time of writing is sold out but if you contact the organiser there is a waiting list for cancellations. (Sounds a bit good doesn’t it!) … We’re psyched!